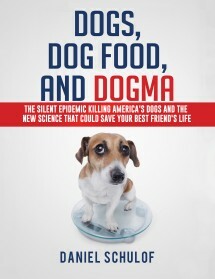 In connection with my research for Dogs, Dog Food, and Dogma, I was often told by veterinary nutritionists, non-specialist veterinarians, and other kinds of “experts” that obesity is governed by the “a calorie is a calorie” rule and the notion that carbs are uniquely fattening for dogs is just plain wrong. The most common objection I encountered when I pressed the case for the carbohydrate-insulin model of obesity was that there “isn’t enough evidence” to support it, particularly in small animals. I always found that objection odd. Because I’ve spent the past four years reviewing the published literature on the subject, and I can state categorically that the weight of the evidence weighs heavily against the “a calorie is a calorie” hypothesis. Today I’m going to show you what I mean when I make that statement. It’s easy to test the two competing hypotheses: (1) feed two similar groups of animals the same number of calories but different amounts of carbs and protein (carbohydrates and proteins each contain about four digestible calories per gram, so swapping one for the other keeps the total number of calories the same), and then (2) see what happens to the amount of fat in the animals over the course of their different diets. If “a calorie is a calorie,” then we should expect to see the amount of fat in their bodies change in precisely the same way. If the carbohydrate-insulin model is correct, the group that eats more carbs should gain more body fat. Really simple but really revealing experiment (although somewhat harder to do with cheating-prone human subjects). Small animal nutritional research is far less common than its human equivalent. Still, I was able to find a total of six recent studies that meet the criteria described above. And EVERY SINGLE ONE supports the carbohydrate-insulin model. Links to the original research and short summaries follow. 1) From 2002, published in the Journal of Nutrition. Two groups of beagles get the same number of calories but different amounts of a carbohydrate (starch) for a lengthy period. Low-carb dogs lose 13% more body fat, even though they consume more calories than the moderate-carb dogs. 2) From 2004, published in the Journal of Nutrition. Two groups of beagles get the same number of calories (85% of calculated maintenance requirements) but wildly different amounts of carbohydrate for 12 weeks. Low-carb dogs lose twice as much weight and six times as much body fat (that is not a typo) as the high-carb dogs. 3) From 2005, published in the International Journal of Applied Research in Veterinary Medicine. Two groups of cats get the same number of calories but different amounts of carbohydrates. Low-carb cats lose more body fat and less lean body mass (muscle) than moderate-carb cats. 5) From 2009, published in the Journal of Nutrition. Two groups of overweight cats get the same number of calories but different amounts of carbohydrate and protein. 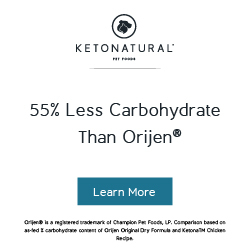 Low-carb cats lose significantly more fat and significantly less lean body mass then the moderate-carb cats. 6) From 2015, published in the Journal of Animal Physiology and Animal Nutrition. Two groups of eight overweight cats each get the same number of calories but different amounts of protein and carbohydrates for eight weeks. Low-carb cats lose significantly more body fat and less lean body mass than high-carb cats. So what’s the evidence on the other side of the scale look like? How many recent studies show that small animals fed the same number of calories but different amounts of carbohydrate will lose (or gain) roughly the same amount of body fat? So, I ask you, which one of the two models suffers from a lack of evidence again?